French giant Peugeot PSA is all set to reveal its plans for India today at a function held in Chennai. 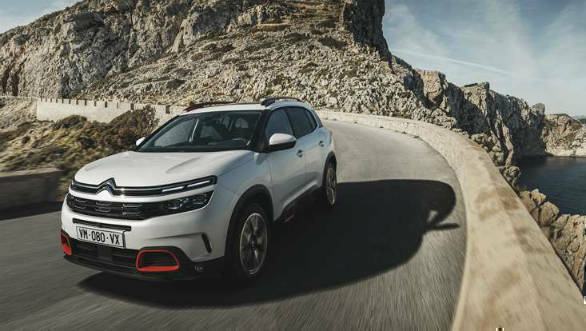 More importantly, it will also showcase the first car that the carmaker is currently localising for the Indian market - the Citroen C5 Aircross. Present at the event will be Carlos Tavares, Chairman of the Managing Board, Groupe PSA, Linda Jackson, Chief Executive Officer, Citroen Brand, Groupe PSA, Emmanuel Delay, Executive Vice President & Head of India-Pacific, Groupe PSA, and Roland Bouchara, Senior Vice President Sales & Marketing, Citroen India. These officials will shed light on the carmaker's plans for the Indian market, its roadmap, scope and strengths. Stay tuned as we bring you all the details from the event. PSA is the most profitable car brand in Europe and that is because they know how to “do more with less”. This requires better efficiency of processes and that is the model they will go within India too. PSA will make gradual investments. Scalability is the key approach for the Indian market, which some of the other European competitors haven’t followed. For the products planned for India, Citroen will keep a very short time gap between international and local launches. PSA is targeting a 2% market share in India and if they achieve that then all their business plans and allied activities for India will be as per their expectations. Target in 4-5 years. PHEV and electrified vehicles from PSA will be available globally from this year and will be considered for India as well - as and when it makes financial sense. Citroen aims at 98% localisation on the car parts, 90% on powertrain which translates to ~95% overall. Most competitors haven’t localised the powertrain. For PSA, the gearbox was the first component they localised - and it will be consumed locally as well as exported. Ditto for other components and car parts. PSA’s plant in Hosur has a capacity of 1,00,000 per annum. The Ambassador name won’t be used loosely. Whenever it’s used, it will be used in a way that it gives it due respect. But no plan yet around the Ambassador brand. Citroen will offer the option of configuring and ordering the car online. Design and comfort are the keywords for the Citroen brand and is at the forefront of its 360° strategy. In the last 100 years, it’s sold over 50 million cars! PSA will work with CK Birla and Tat aConsultancy Services for the Indian market. India will contribute heavily to PSA global footprint and has the advantages of low-cost manufacturing. In five years, PSA has managed to go from near-bankruptcy to profitable. Under the wraps is the first vehicle for the Citroen brand in India - the C5 Aircross. PSA Group and Avtec Ltd, a CK Birla Group company inaugurated their Hosur plant in November 2018. The plant will manufacture and supply powertrains for global and domestic markets. In February 2017, PSA Group acquired Hindustan Motors (including the trademarks) for Rs 80 Cr.